Canada USC #UO72 used cut squares X 25 1998 Chinese Year of the Tiger - special order envelope X 25 used cut squares. F-VF. Catalogue for full used envelope $3 each or mint $4.50 each. 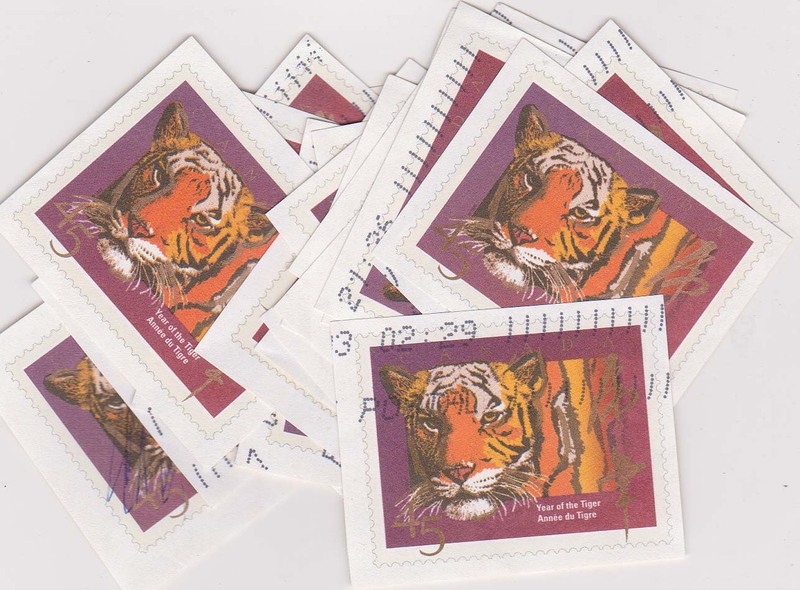 1998 Chinese Year of the Tiger - special order envelope X 25 used cut squares. F-VF. 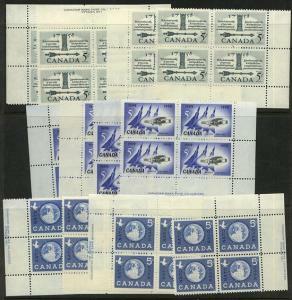 Catalogue for full used envelope $3 each or mint $4.50 each. 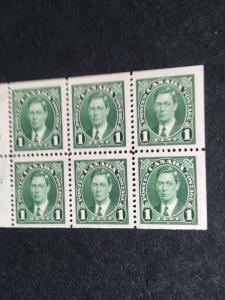 Canada USC #1594a Mint Vf-NH Cat. $5. 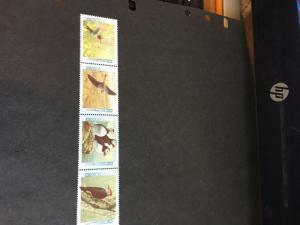 1996 Birds Strip of Four Diff.